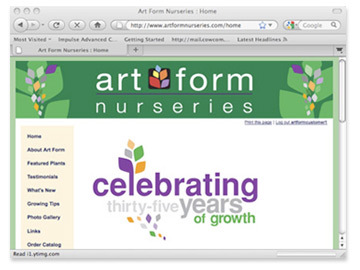 Art Form Nurseries is celebrating its 35th anniversary this year! Art Form Nurseries has been in the horticultural industry since 1975, when the company began its operations on a 2-acre property in Russell, Ohio. Since that time, Art Form Nurseries has grown to become a 30-acre facility that features 5 acres of outdoor growing area and 1.6 acres of heated greenhouses. The greenhouses range from Quonsets to gutter connects to the recent addition of a state-of-the-art Erie open-roof greenhouse. Founder and president Michael Artino has a BS in Agriculture from Ohio State University, and has been a practicing Horticulturist for over thirty years. Art Form began operations as a landscape business. When Michael was unable to locate gallon-sized perennials, Art Form began to grow their own. A small amount of production soon turned into a significant quantity. In 1987, Art Form Nurseries ceased their landscaping work altogether to focus strictly on the business of growing the finest perennials and herbs. Art Form Nurseries grows over 5 dozen varieties of culinary and ornamental herbs available in 3' pots. Art Form also provides a wide variety of perennials in one gallon pots or larger to fit any garden situation. Art Form Nurseries is consistently adding to, or changing its growing list to fit our customer’s needs. About 80% of our material goes to garden centers in northeastern and central Ohio. The remaining 20% is sold to those in Art Form’s former specialty, landscaping. Cowan Communication Arts has worked with Art Form Nurseries since 1996. Our services have included branding, logo and identity design, advertising, trade show material design, environmental graphics, website development, video production and more. 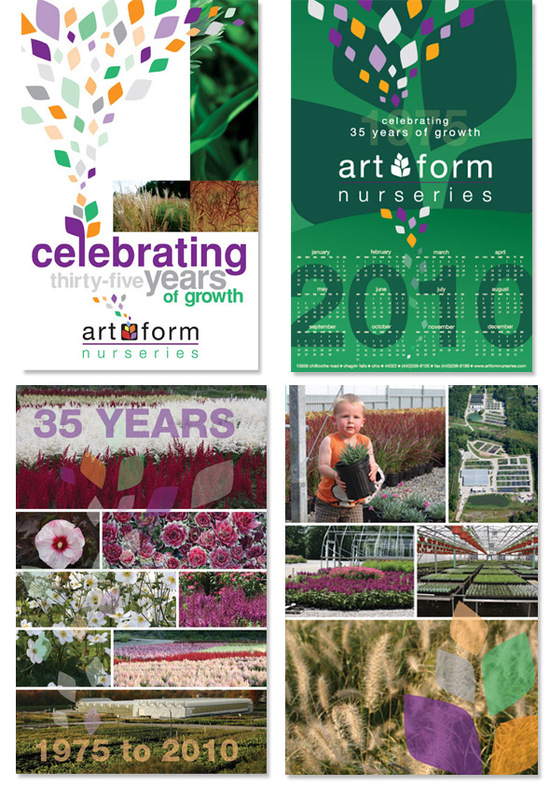 We recently worked on the Art Form Nurseries 35th Anniversary designs.